SPECIAL OFFER FROM WOODSMITH PLANS! 5 FREE PLANS of your choice! *Maximum value of 5 plans purchased. 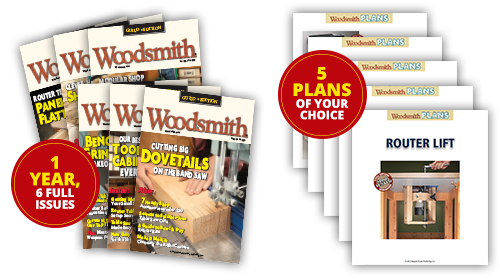 Choice of any 5 plans can be selected with supplied credits after subscribing to Woodsmith. Offer valid for U.S. addresses and new subscribers only.